You’ve read all the guides on “what to expect.” You have your bag for the hospital packed. You even figured out what the Diaper Genie is and how to use it. But have you given any thought to your new or soon-to-arrive infant’s teeth? Whether you’re a first-time parent or expecting baby No. 8, you should understand the importance of infant dental care. Parents play an important role in establishing good oral hygiene habits for their kids. But their job starts even earlier. Even if they haven’t arrived in the world yet, your infant is already in the midst of a vital time of oral development that will last for the next several years. 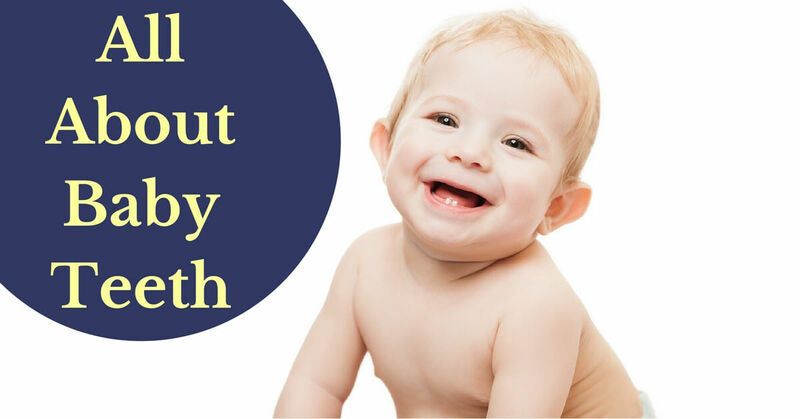 You should understand the stages of infant tooth development and the best care options for newborn and infant teeth, and you need to know best practices for cleaning brand new teeth and what to expect during teething — don’t be scared, it isn’t as bad as you may have heard. Finally, you should be ready to schedule that critical first dental visit. Many parents mistakenly think kids don’t need dental care until their adult teeth come in, but this can lead to cavities and other problems with baby teeth that impact tooth development. This guide walks you through the steps you need to take to to keep those tiny mouths healthy and happy. A child’s first set of teeth is called their “baby teeth” – 20 primary teeth that will gradually be replaced by a full set of 32 adult teeth. Baby teeth hold the places in the mouth for adult teeth to come in. Although we lose this first set of teeth, it’s important to take care of baby teeth and establish good dental health early. Knowing when baby teeth develop and how to care for these primary teeth is a great start to giving your child a lifetime of smiles. Let’s start at the beginning. Your child’s baby teeth develop in utero, usually starting around 14 weeks, when the central incisors begin to form, to 19 weeks, when the final group of teeth, the molars, calcify. The cells that eventually become our baby teeth form in the fetus after just a few weeks of development. Then, tooth growth begins soon after birth. During pregnancy, eating enough protein and calcium are critical to the development of teeth. Several vitamins, including D, C and A, also contribute to building strong teeth in your developing fetus. Enamel is the outer shell of the tooth. This outer layer is the toughest part of the body, and it protects these baby teeth. 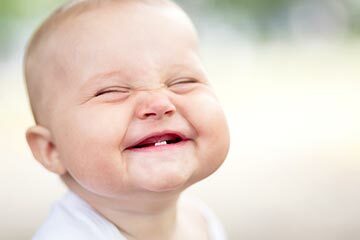 Most babies cut their first tooth around when they are in the range of 4 to 7 months old, and usually have a full set of 20 teeth by the time they turn three. Baby teeth start coming in with the teeth at the front and center of our mouths, the incisors. Although there’s some variation, usually the lower incisors are the first teeth to come in, followed soon after by the upper incisors which come in around 6 to 8 months of age. As a general rule, baby teeth will emerge as pairs. After the first central incisors grow, they will be flanked by 4 more incisors – the lateral incisors – which come in when the baby is 9 to 12 months old. Next, the first set of molars arrive toward the back of the mouth, at about one year of age or shortly after. At around a year and a half old, toddlers get their canine teeth, the sharp pointed teeth that come in between the incisors and the first molars. There is often a short gap in teething between when the first 16 baby teeth to come in and the when the last 4 arrive. The final baby teeth are the second molars which grow in behind the baby’s first molars, usually when the child is between the ages of two to three years. 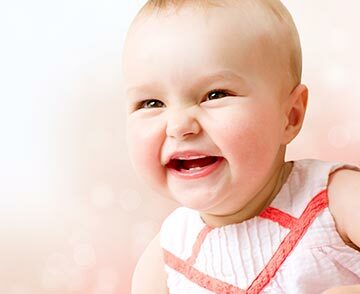 The sequence baby teeth arrive in can vary from child to child, as can the ages at which the teeth come in. Give your child’s baby teeth 12 months of leeway – if they haven’t come in by a year after their anticipated timeframe, check with us at Fox Kids’ Dentistry & Orthodontics. You may be thinking, “OK, all this information is great, but I don’t have to worry about my infant’s oral hygiene until their teeth grow in.” Sorry, that’s not true. Routines familiarize babies with the idea that their mouths should be cleaned at least twice a day. This forms habits, and healthy habits early on ensure oral hygiene will stick with them for life. Don’t neglect your own oral health, either — kids learn a lot from their parents, including brushing and flossing. If you do it in front of them, even as babies, they will do it themselves, too, as a form of imitation. OK, now you are convinced it’s vital to care for your infant’s teeth and gums. How do you do it? It depends on the baby’s age and tooth development. Caring for your baby’s teeth begins before there are any visible teeth to care for. In the first months of a baby’s life their gums should be wiped gently with a clean cloth using just warm water. When the process of teething starts there is often visible redness and swelling in the gums. To alleviate discomfort, a baby can be offered a teething ring or a clean, wet washcloth. When baby teeth erupt, brush them twice a day with a soft-bristle baby toothbrush and a “smear” of fluoridated toothpaste. A pea-sized amount can be used after three years of age, when all baby teeth are in place. Why did we mention tooth care in Portland specifically here? Well, you should also know Portland does not put fluoride in its drinking water, unlike most places in the United States, which add it as a cavity prevention measure. You can use a toothpaste with fluoride to help protect teeth, but avoid mouthwashes with fluoride for young kids. Most can’t use these without swallowing until they’re at least 6. If you bring your child to our practice, we can discuss fluoride treatments to supplement toothpaste and mouthwash. A common problem with baby teeth is baby bottle tooth decay, where a sugary liquid prematurely encourages cavities and tooth rot. Most often this is linked to babies that have fallen asleep while sucking on a bottle. Any liquid with sugar in it, including juice, formula and even breast milk, can cause this tooth decay. The best way to ward against baby bottle tooth decay is to clean a baby’s gums and teeth thoroughly after all meals. If bottle-feeding is being used to encourage sleep, use bottles with just water in them so there’s no risk of sugar residue being in a child’s mouth while they sleep. 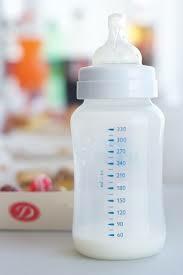 Reserve breast milk and other liquids to the daytime when a child’s mouth can be cleaned afterward. One of the questions we hear most at our Portland practice is, “When should I schedule my baby’s first dental visit?” We say there’s no time like the present. By the time your child turns one, you should have chosen a dentist and paid your first visit. If you come to our practice, we will examine your child and also talk to you about proper dental care and establishing good hygiene habits. We recommend scheduling your infant’s first dental visit by age one. Dr. Dana Fox, our pediatric dentist, and Dr. Paul Fox, our orthodontist, understand the importance of infant dental care. They are parents themselves — you may even see their young child zooming around our office — and they use the guidelines we outline here in their home. You can count on them to provide caring, attentive care to your little one’s teeth as they grow and grow. Contact us today with any questions you may have about infant oral health or to schedule an appointment.